Last month I did a fun post about how to use Halos to make cute Christmas Reindeer, you can find that post HERE, and this month the fun with Halos isn’t stopping! Halos sent me another exclusive insiders pack and the goodies inside were a-maz-ing! This jar is similar to the one I received last month, but the Halos is a bit different. These jars are perfect for storing stuff. Inside the jar, was another gift full of more goodies including; a Halos calendar magnet, Halos Bowl, and some crafts to make the Halos Snowmen. 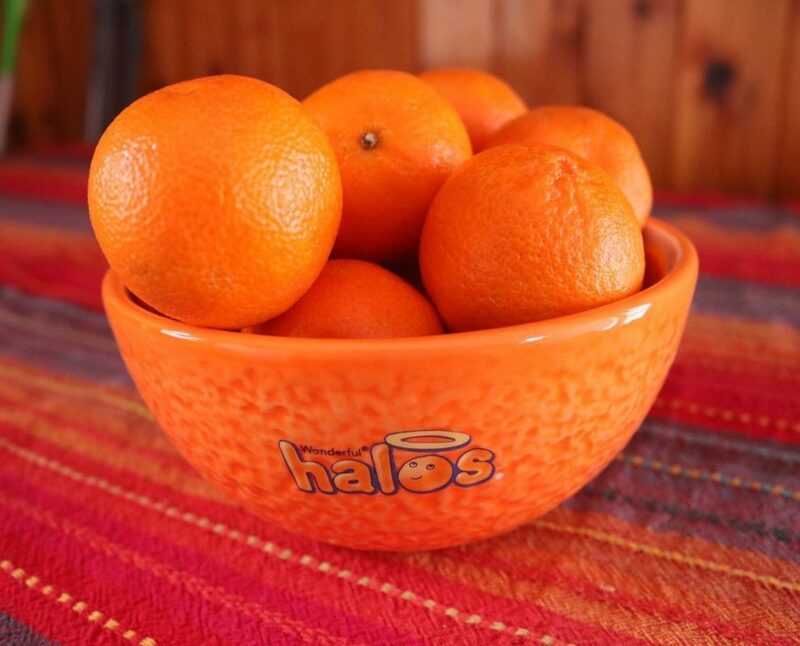 I can’t get over how awesome this Halos bowl is, it looks like a real Halos inside too! My six year old helped me go through all the goodies, so I didn’t get too many pictures right away, but I loved having my helper help me. 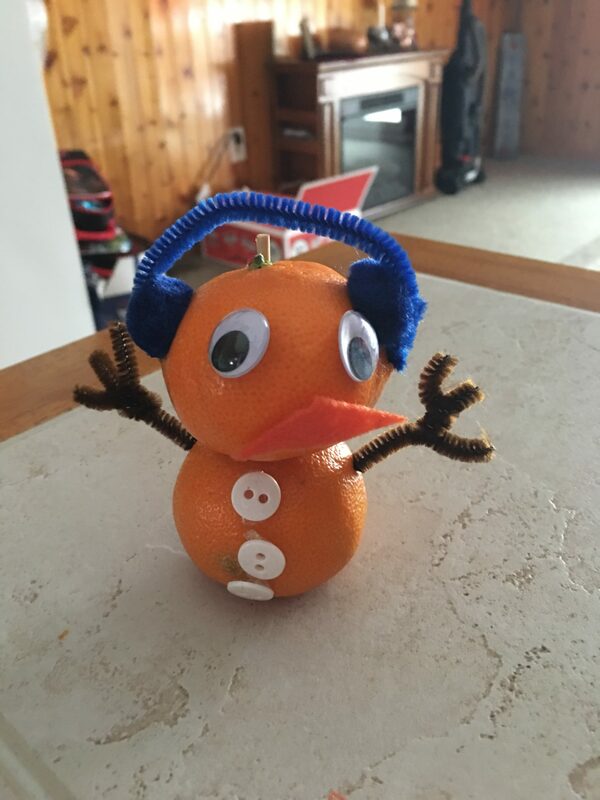 Since we already had a ton of Halos at my house, my son insisted we make the Halos Snowmen like right now, so I gave in. I usually like to have lots of prep time before doing a project, so I know what I’m doing, but we kind of went blindly into it. 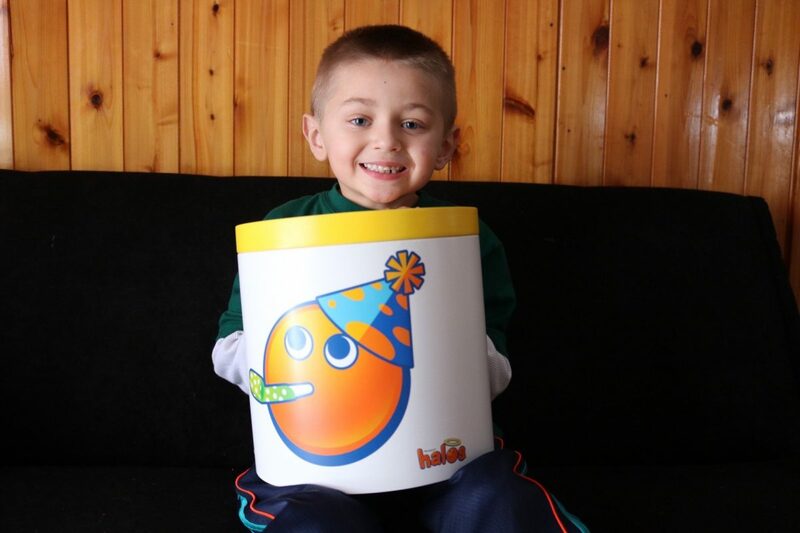 The result – an almost perfect looking Halos snowman. And, since we ironically had snow that day, we posed our snowman outside for a photo op. 1. Put 2 Halos together, center on center. 3. Glue on eyes and buttons on snowman. 4. Cut a triangle piece out of orange felt for the snowman’s nose. Glue nose on snowman. 5. Cut brown pipe cleaner in half and form arms for the snowman. Stick into the side of the snowman. 6. Take other color pipe cleaner and cut in half. Use only 1 half, discard the other half. 7. Glue 1 Pom Pom on each end of pipe cleaner. 8. 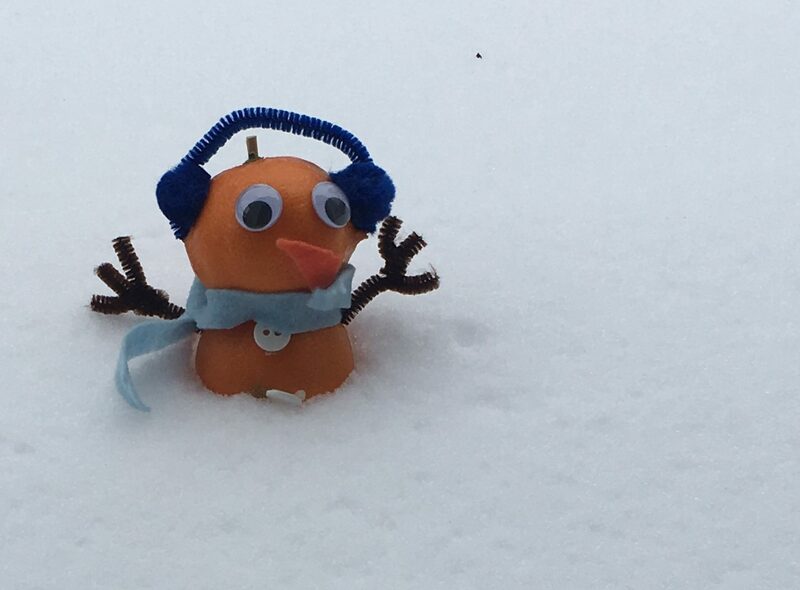 Place the pipe cleaner with Pom Poms on the snowman to look like earmuffs. 9. Take the long piece of felt and cut a long strand about a half inch thick off. Tie around your snowman’s neck. You should now have a finished Halos Snowman! For more Halos projects or to stay up-to-date with Halos, follow them on Twitter. Disclosure: As a Halos Insider, I sometimes receive free samples, like the ones mentioned in this post. This post contains affiliate links. Next Post Free Small Slurpee From 7-Eleven Every Saturday in January!